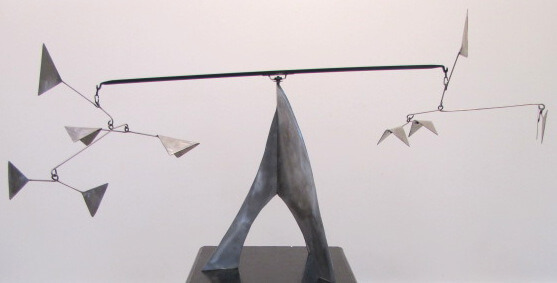 Tom Sitzman, artist and owner of Connect Gallery has opened the new year with his own signature steel sculpture accompanied by new work from several local artists. The exhibit will continue till Jan. 28. Though current UNMC construction has complicated venue traffic a bit, Connect will host an artist reception this Friday, Jan. 13, 5:30-9 p.m. with limited parking in front of the building. a background in children’s creative dance, children’s and Olympic gymnastics and movement analyses. Sitzman’s public works include, “Shadow Box” located on the Gene Leahy Mall and “The Leaper” that stands outside Omaha Public School’s Catlin Elementary School of the Arts. Many other works can be found in private collections in homes and businesses. 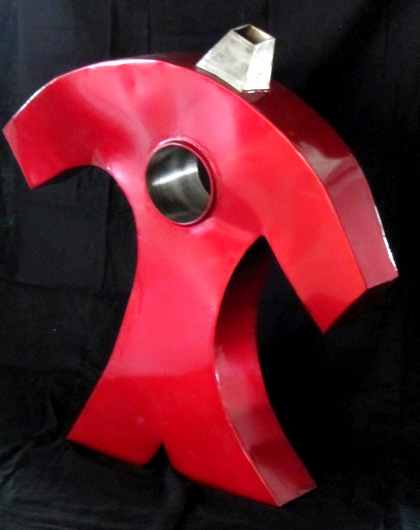 Stainless and Painted Steel Sculpture by Tom Sitzman continues at Connect Gallery until Jan. 28. Connect will host an artist reception this Friday, Jan. 13, 5:30-9 p.m. Galley will be open Wed-Sat 11-5 p.m. For more, go to connectgallery.net.